Current representative: The current representative for the 89th District is Rep. Jim Lilly (R-Park Twp.). The district includes the townships of Grand Haven, Olive, Park, Port Sheldon, Robinson, Blendon, Crockery and Spring Lake, and the cities of Ferrysburg and Grand Haven, according to the House Republicans. According to his official House biography, Lilly was vice president and commercial banking team leader, at Macatawa Bank from 2012 to 2016. 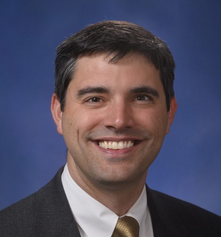 Lilly is vice chair of the House Michigan Competitiveness Committee and a member of the House Education Reform, Elections and Ethics and Financial Services committees, according to House Republicans. A map of the 89th House District is available here. Rep. Lilly raises money through a candidate committee, Friends of Jim Lilly. His campaign is also connected to a political action committee, Michigan Strategic Leadership, which launched in March 2017.